The start of this month was ROUGH. As some of you may know from watching my IG stories, I was VERY disappointed with my initial Internal Medicine rotation. I had minimal hours scheduled, had many days off and was shadowing the whole time in clinic. At first, I really enjoyed the time off - worked on things like our group thesis, my presentation, used the time to study for EOR and Senior Seminar exams. On the third and fourth day, I got really anxious. “What am I doing right now? Am I even competent enough to see patients on my own in this kind of setting?” My thoughts were swirling about and I dwelled on this for a whole day. I decided to SPEAK up and MAKE MOVES. Because at the end of the day, I am responsible for my experience and my education. I called my clinical site and our PA rotations department and made things happen. I am incredibly thankful for our rotations department for reassigning me to another preceptor in Whittier, in just one day! My new Internal Med preceptor was AMAZING and is a wonderful teacher. I was challenged each day and I saw so many patients with 5+ co-morbidities. I was the only student and my preceptor had me see patients on my own (and then checking my work). We finished each encounter together and I was able to propose a treatment plan. This was great practice for critical thinking. I wish I started on day one with this wonderful preceptor! But, I am so glad I had the time that I did. Each month we have two exams where we have to be on campus on a Friday and Monday. For this month’s SS exam, we were tested on Cardiology. You guys, it felt incredibly gratifying to get through that Cardio exam without feeling anxious. I want to reiterate how unexpected things can be, especially in PA school. You can study all this material and create the best notes, but somehow, the content being tested was totally NOT what you studied for lol. I felt so awful last month after the Pulmonary exam and didn’t want to repeat it. I used Quizlet, Pance Prep Pearls, PANCE exam Q&A book and Rosh Review and asked my classmates how they studied. Glad to say, my efforts paid off! For this month, I actually relied on my clinical experience for the exam! It’s always tough to study for EORs for Fam Practice, Urgent Care and Internal Med.. there are just so many topics - it’s like studying for the whole entire PANCE! What’s also helpful is the blueprint on PAEA. Happy to say, I passed! So thankful for this month’s preceptor and experience! 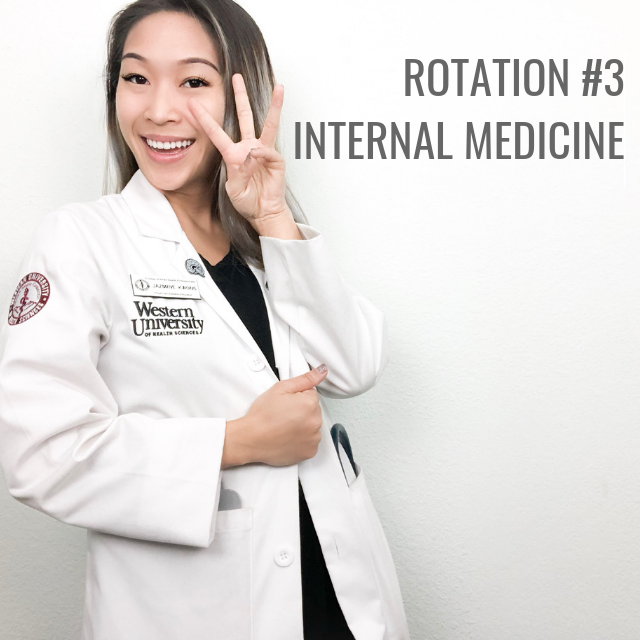 To see more of my day to day on this rotation, check out my Rotation 3 highlights on Instagram ! Thank you all for showing up and for supporting our local coffee shop, Ventana Coffee! Till next year! Next: Rotation #4 - General Surgery!